One of my favorite summer garden vegetables is fresh zucchini. It can be used for so many dinner dishes, alongside my morning eggs or even mixed in to mouthwatering desserts such as chocolate zucchini bread. This summer, my neighbor aka “The Sneaky Gardener” would tiptoe onto our back porch and place fresh zucchini on the patio table. These weekly visits from our lovely Zucchini Fairy made for many memorable treats including my savory Bex’s Zucchini Oatmeal Streusel Muffins. If you are looking for a healthy, filling and great treat to go with your morning cup-o-joe then you have found a winner, my friend! In a separate bowl mix together eggs, shredded zucchini and salad oil. Stir mixture into flour mix just until combined. Spoon into muffin cups. 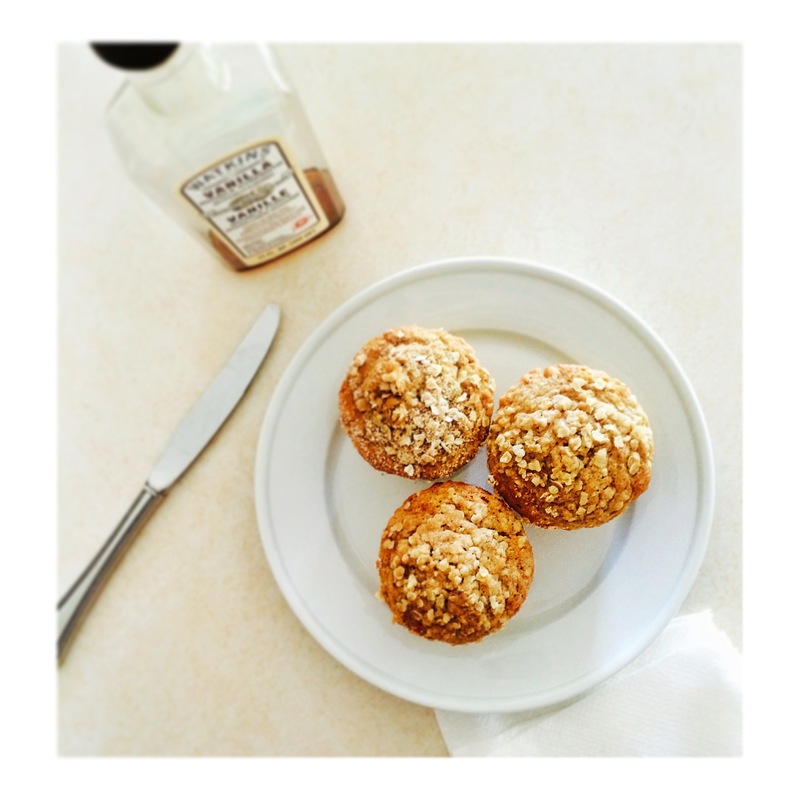 Combine ingredients for streusel topping and spoon atop each muffin cup then place in the oven and bake for 18-20 minutes. Bon appétit! Next Post I’d like to make a toast!